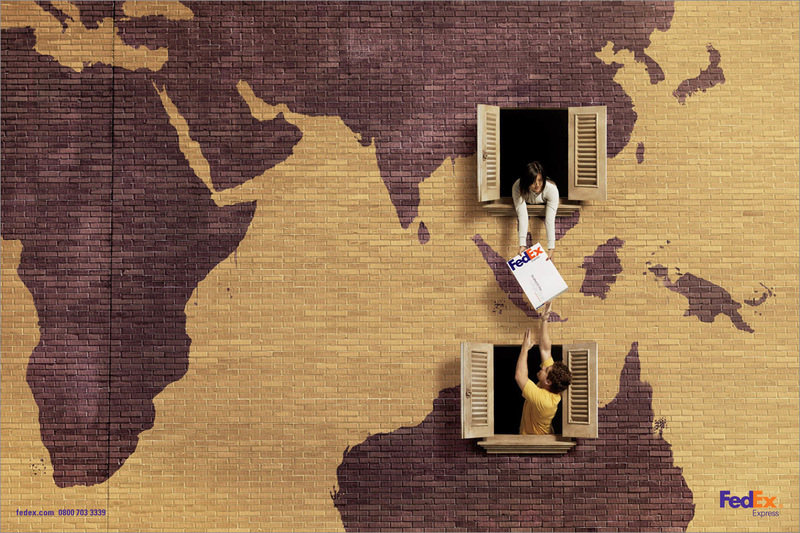 FedEx Express international services are celebrated in this series of photographs by Brazilian photographer Manolo Moran. 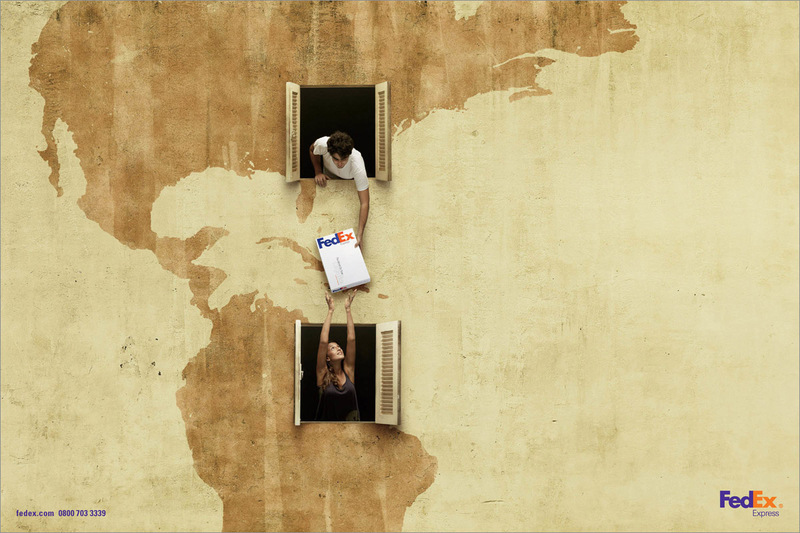 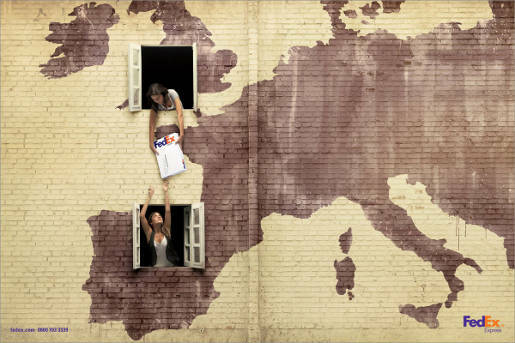 Windows open on maps painted onto brick and plastered walls, with Fedex boxes passed between Asia and Australia, the UK and Spain, Brazil and USA. The World campaign was developed at DDB Brazil by creative directors Rodrigo Almeida, Renata Florio, Sergio Valente, art director Max Geraldo, copywriter Aricio Fortes and photographer Manolo Moran.